Girls On Fire Leaders is Providing Early Adolescent girls in the slums of Kenya and Tanzania with transFormative LEadership Skills through Educational travel, Sustainable community projects, diversity engagement and global Connectivity. Since 2014, WE have provided Community solutions for Girls Education, FGM, Early Child Marriage, HIV/AIDs and Related STiGMA, HYGiene, Human Rights Advocacy, Holistic Health and Well-being. STUDIES SHOW that community change start with building up Girls in a holistic way so theY can take leadership roles early on. Girls On Fire show up in villages all over Kenya and work alongside girls and women tribal leaders. We listen, learn and collaborate on community solutions, while leaving a lasting legacy. We do this all with the full engagement of our hearts, our creativity and our intellect. We are creating a network of connected girls in Kenya and all over the globe who become each other's champions. Community leaders: We are developing the multi-faceted skills and personal conviction needed to be a young girl evoking positive change and influence against the harsh realities and gender violence in the slums. Educational Travel: Poverty robs one of exposure and diversity, which allows a broader perspective and ultimately decisions that are so critical in rising out of the poverty trap to achieve their dreams. Service-Learning: We've partnered with Roots & Shoots (Jane Goodall Institute) to provide a service-learning curriculum. We use technologies to map community needs (i.e. Google Earth) and learn how to use analytical skills to predict outcomes. We do design-thinking modules and interview leaders to ensure community ownership. The girls experience the value of being in service of another and proudly leave a legacy of leadership. Self- Expression: We create a safe and creatively vibrant space where girls can be bold and express themselves. We build their confidence by taking consistent little risks, while connecting to the bigger picture of their lives. Global Connectivity: Our aim is to have an army of champions - peers and adults that are inspired to mentor and support girls on the path to empowerment. The NEXT GIRLS ON FIRE LEADERSHIP CAMP! We are hitting the wide open roads of Kenya again with our sense of adventure, spirit of service and curiosity for communities of people and their traditions. Join us in making this life-affirming Experience happen! A camp at the beginning of 2018 which will build on the practical year-long leadership course skills they've learned. 30 Girls - ages 6-13 years old / 5 GOF Staff, and partners. Traveling to 2-3 regions to work with different tribes on community service project and leadership skills. We do not show up as tourist but Kenyans learning and helping other Kenyans. Here's a snapshot of the type of projects we'll be working on. 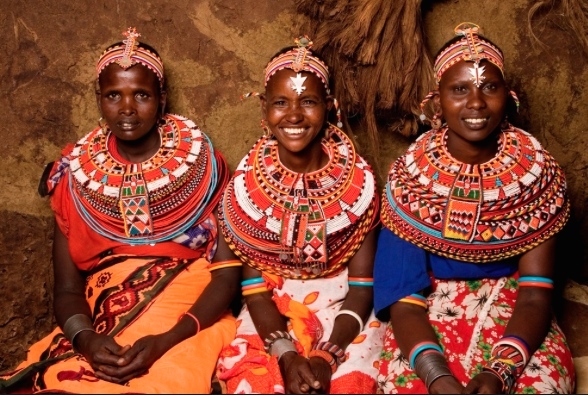 Co-create a literacy program in pastoral tribes with local girls. Learn leadership from the tribal elders, community problems (i.e. FGM) and solution workshops. Participate in building a family hut within the boma (homestead). Learn about conservationism and local environmental dangers, through a project rescuing elephant orphans. Go on safari, track elephants, learn by experience and ultimately become elephant protection ambassadors. Learn about advocacy for girls and women through local Muslim groups. Work in a Muslim school and alongside a local NGO using soccer for girls for confidence building, and help them advocate for themselves. GIRLS ON FIRE CREATE CHANGE NOW. We've expanded the camp impact and will be working with the girls for a full year - with each girl traveling on 2 camps. They will have opportunities every month for training and connection with other Girls On Fire all over Kenya. To expand the Girls On Fire model and spirit to more girls, we've trained teachers on service-learning and will be rolling out an online course (think SkillShare for development) late 2017. This is where the girls take all their learnings and experiences from the camp and put them into action in their community. They have already come up with ideas of caring for stray dogs, creating a "pop-up" park, building a wash station only for kids, clothes drive for kids and starting a reading circle for street boys, which they've already done! This year, we'll be spending a week back in Kibera analyzing very specific solutions and creating a project. This year, we are piloting a project that will give the older girls the chance to be "counselors in training" and work with girl leaders going through a similar program in the U.S. This will be a global buddy system to share and cross-pollinate curriculums but also provide strong peer-mentorships. I'm excited to share more as we roll it out throughout the year. 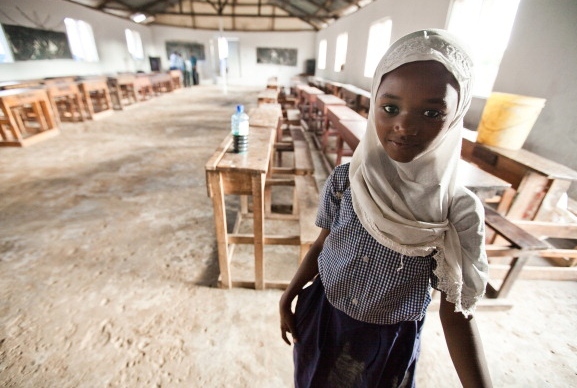 When We educate and empower a girl, she WILL change the world around her. Put Your Compassion Into action, Today! Ubuntu means "I am because We are". Let's continue this Ubuntu spirit and create sustainable solutions for these girls and many more to follow.